Rotherham Titans go into round 8 of the Greene King IPA Championship ready to face what is probably the biggest challenge of the season, as they take on top-of-the-table Bristol Rugby; kick-off on Saturday at Ashton Gate is 12:30pm. Rotherham, who are still searching for their first Championship win of the season, won’t find it easy to break their duck this weekend as their South West opponents are riding high at the top of the pile, having collected a perfect 7 wins from 7 games, which also includes 6 try-scoring bonus points. 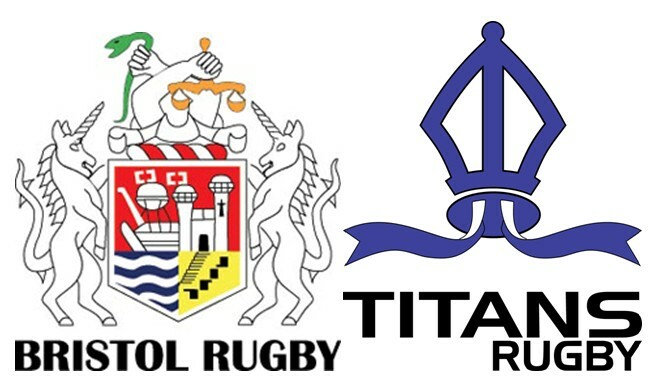 Titans’ recent history against Bristol has seen the South Yorkshire side lose out on the last ten occasions they have met and you have to go back to October 2012 for Rotherham’s last victory; that being a 23-16 success at Clifton Lane. However, Rotherham will travel to the West Country with a measure of confidence following their last run-out which saw them narrowly lose to second placed side Ealing Trailfinders. Indeed Titans performances have improved significantly in recent weeks and despite still searching for their first win in the Championship, they will be confident of competing against the divisional favourites. Going into the game Rotherham have made just one change to their starting XV as scrum half Francisco Vieira comes in for the injured Will Porter. Porter injured his leg whilst representing his parent club Wasps last week in the Anglo Welsh Cup defeat to Newcastle Falcons. Commenting ahead of the match Titans Andy Key explained, “We were really pleased with our performance last time out against Ealing; now it’s about trying to put consistent performances back to back. I think we have started to do that; the last 3 weeks against Connacht, Richmond and Ealing has shown us that the side is starting to grow and they are building in confidence. “When you take on a side like Ealing, although we didn’t quite get it right in the first half, to nil them as far as try-scoring in the second half and then see them taking a penalty with about 3 minutes remaining in order to ensure they had a 5 point lead, was them giving us respect as regards the way we were playing. “So whilst we were pleased with the performance, our feet are firmly on the ground as we know we still haven’t won a Championship game yet. “Saturday’s match against Bristol is a great challenge and it’s a challenge the boys are eager to take on. We understand where Bristol are and what they’re trying to do, but at the same time we are not going to fear them, but we do respect them. “They know how to play and are well organised, in Pat Lam it’s plain to be seen what he did with Connacht and you can see what he’s trying to do with Bristol already. Their sights are firmly on getting promotion and getting back into the Premiership. Titans: 15 Will Thomas, 14 Drew Cheshire, 13 Yiannis Loizias, 12 Luke Peters, 11 Jake Henry, 10 Caolan Ryan, 9 Francisco Vieira, 1 Toby Williams, 2 Luke Cole, 3 Matt Shields, 4 Rob Louw, 5 Byron Hodge, 6 Adam Peters, 7 Tom Calladine (Capt. ), 8 Tom Burns.